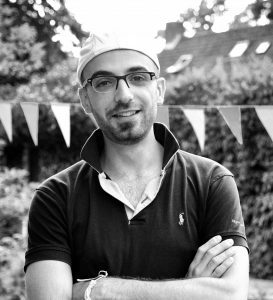 My name is Ammar, I am 28 years old, I’m Syrian and I live in the Netherlands since October 2015, I studied geology in the university of Damascus but I couldn’t graduate. I’m living here alone, I’m trying to begin my life again here after I’ve lost mostly eveything. I started making photos in 2007, when i got my first small compact camera,I found that making pics is very important to me because I can make the moments of my life stand still for my whole life time. when I fled my country I started to learn making films by myself and I made my first short film in Turkey. I want to share love and peace, and also try to draw a smile wherever I go. so I do volunteer job in the schools here to tell my story and to share love with other Dutch people. I did already three expo’s here , a gallery of my pics and films and I made a lot of interviews in the newspapers and TV channels.